I did a radio interview the other day and the host was a super nice guy and it was a fun interview, but he made a comment about me eating bunny food. So … um … I … um … I just want to know … what’s wrong with bunny food? 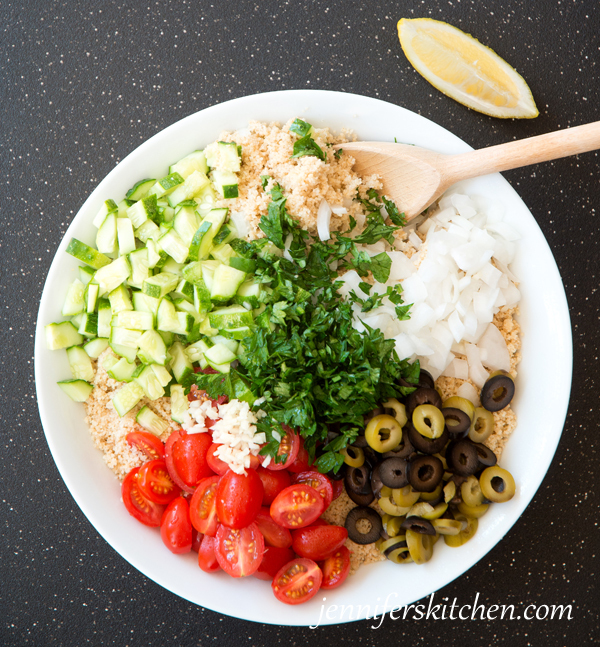 Easy to make and full of nutrition, this Mediterranean Couscous Salad (chock-full of delicious bunny food) is a super quick meal and works great as a packed lunch. 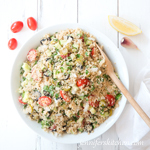 If you’d like this dish to be gluten-free, you can use gluten-free couscous or quinoa or brown rice, but note that these options require more seasonings than regular couscous. When you are done preparing this dish, you’ll want to add more seasonings to taste. 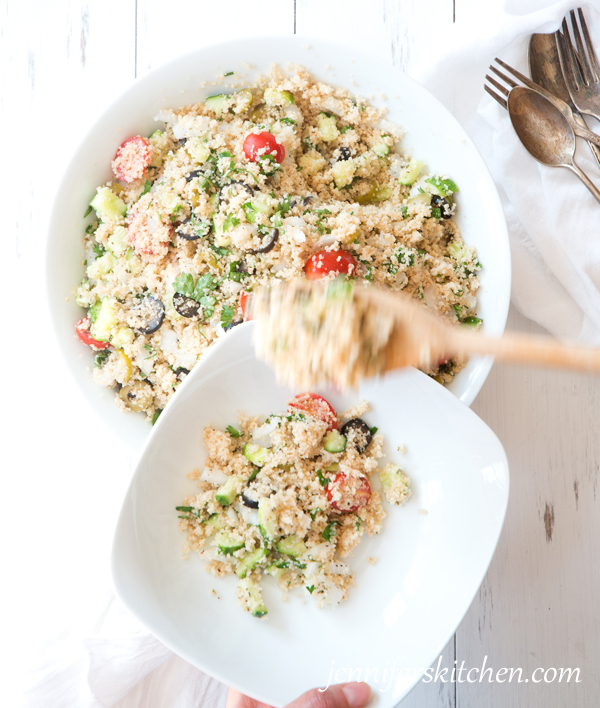 An easy and healthy salad for your summertime produce. 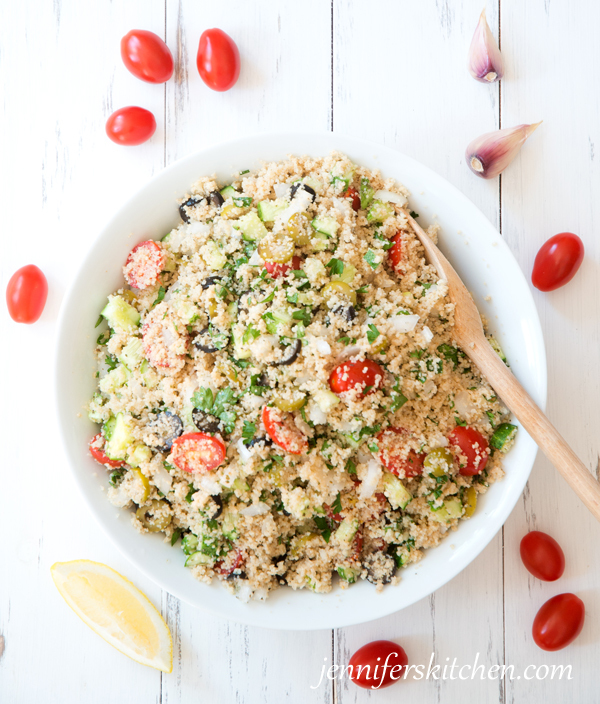 1 1/4 cups uncooked couscous, scant - If you'd like this dish to be gluten-free, you can use gluten-free couscous or quinoa, but note that both require more seasonings than regular couscous. When you are done preparing this dish, you'll want to add more seasonings to taste. 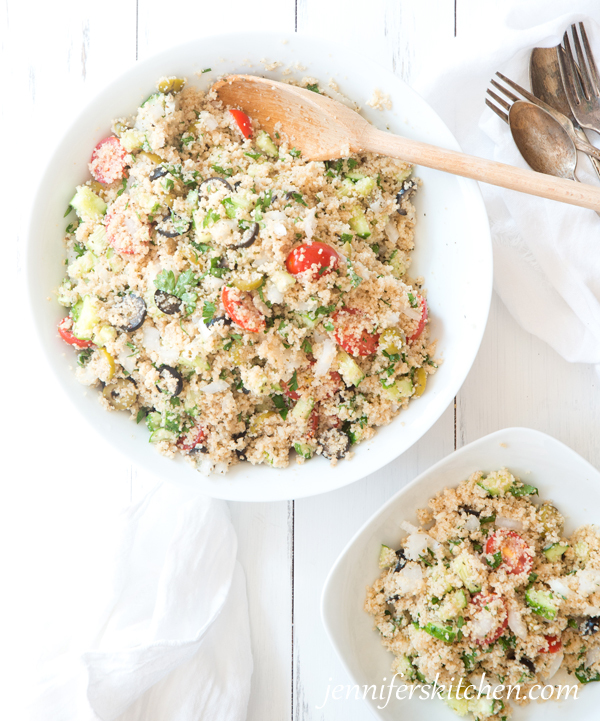 Place couscous in medium pan or dish that has a lid. Stir in boiling water. Cover and allow to sit in warm place for 10 minutes. Remove lid and fluff with a fork. Meanwhile, in a large mixing bowl, stir together dressing ingredients (oil through salt). Stir in onion, artichoke hearts, and olives. Stir in couscous taking care to mix well so all of couscous is seasoned evenly. Immediately before serving, stir in tomato and cucumber. 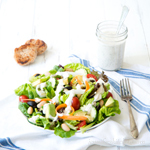 To make this salad more filling, add some garbanzos or avocados .. or both. I am going to try your “bunny food” but I think there may be a typo on the garlic cloves. Thank you, JoAnn. It should have read 6 cloves – which still may sound like a lot, but the bland couscous can take a lot of extra flavor. I served this salad at a party last night. I did add garbanzo beans. 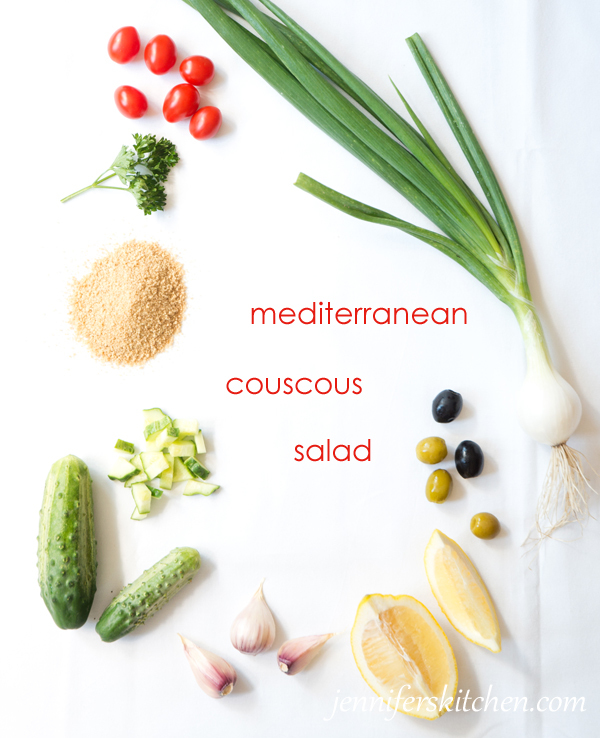 Guests noticed that the couscous was moist! Great dressing! It was a hit! I took this to a picnic and it was devoured! Everyone loved it! I started eating your food when I saw it on 3abn reruns. I thank God they played those older shows. Now that you have this site I can glean all I can. Aw, thank you for your comment, Bonnie. 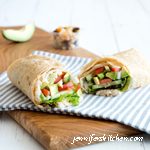 I hope you enjoy the website and the recipes.